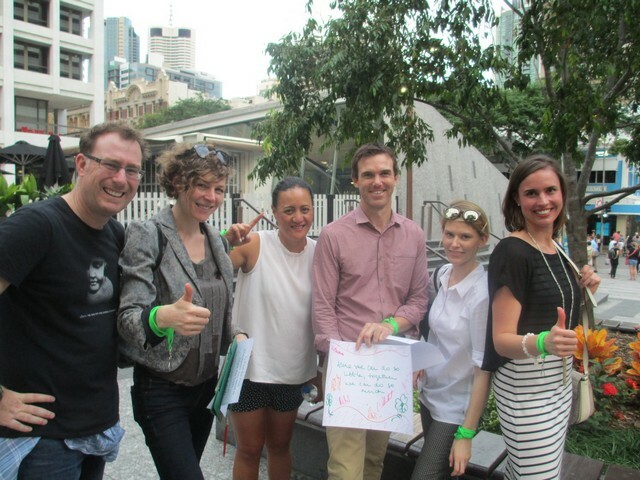 1. Who Operates the Brisbane Amazing Race? We also operate in Sydney and Melbourne. 2. Do You Work with Private Groups for Birthday Parties etc? We don’t work with Bucks groups, due to disrespectful behaviour towards our team members in the past. 3. 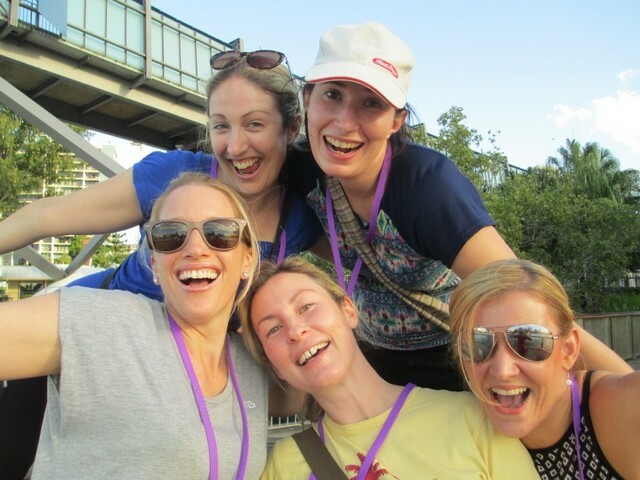 Where does Brisbane Amazing Race operate? 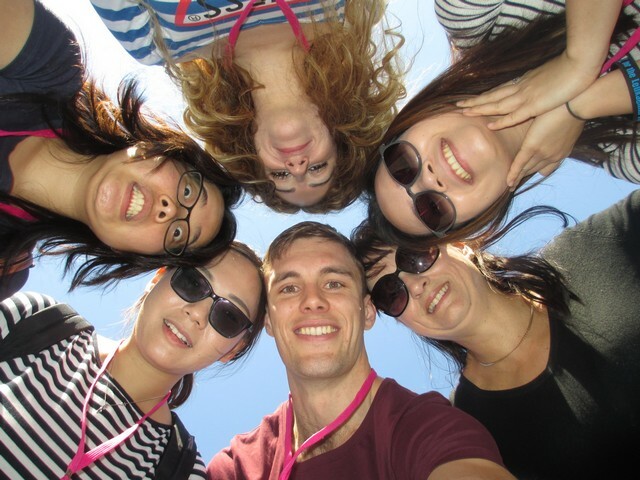 Team Bonding is based in the Sydney metropolitan area and also operates Amazing Race in Melbourne and Brisbane. For Brisbane, there are 2 Amazing Races currently available; City Centre to Southbank and Botanic Gardens to the City Centre. We are unable to create more courses in Brisbane at this stage. 4. What are the Start Times? We can start at any time after 10am and before 2.30pm (winter) and 3.30pm (summer). For safely reasons, we do need to finish the race before dusk. We can consider a 4pm start with a race shortened to 2 hours. 5. Does the Amazing Race suit a small group? We have run successful races with teams as small as 8. 6. Can you handle a large group? The largest group to deliver a great event is around 80 (in 10 teams), above which the logistics start to get difficult for our high touch style event. We have on occasion worked with one client with 2 groups, one in the morning and one in the afternoon. 7. How fit does the group have to be? The answer is not especially fit. If a person can manage to walk for about an hour they will be fine with the Amazing Race. The course for the Botanic Gardens to City Amazing Race is virtually flat and quite short. The distance to Southbank is a little longer and can be hot because we have to walk across the bridge, but most people are fine and we include lots of breaks. We have had people of all ages and sizes enjoy the Amazing Race, even a couple with advanced pregnancies. For people that don’t feel they can walk the full way, they can catch a taxi on the long walk section of the event and meet their teams as they enter the checkpoint. It would also be possible to ride a bike on the Brisbane courses. 8. Can I choose the start and finish points? There is some latitude with respect to finish points, though we counsel against adding more than 10 – 12 minutes extra walk on the beginning or end of the race. Please call us on 1800 047 220 to discuss your requirements, we are happy to adapt where possible and will let you know whether your proposal will work (based on our vast experience of what groups can cope with). Our outdoor activities are certainly favourites with our clients and weather is a shared risk. In most cases with light rain / showers or extreme heat we go ahead with the Race as planned with some concessions for comfort. From time to time teams do complete the Race wearing rain ponchos and really enjoy it. We routinely do a weather check 48 hours prior to the event and if the forecast is unfavourable we will consult. There are 2 options; a) go ahead in “stand by mode” or b) postpone to an alternative date without penalty. Once in “stand by” mode (which is within 36 hours of the start time) it is a requirement that our staff are paid, even with a late postponement (though your deposit payment is held as a credit). If you have chosen stand by mode and it is raining heavily at the start point, we consult the radar, take a vote and either go ahead or abandon. If you choose stand by and the weather is so bad on the day that you abandon we do need to invoice the direct staff costs ($390 / $520 / $650 for larger groups). However: We transfer your deposit to a new date and will re run the event on an alternative date agreeable to both parties. 10. How do you ensure the group is safe? Safety of participants is of paramount importance. Our staff carry compact first aid kits and water. During the group briefing, we ask teams to complete the race at a comfortable walking pace and not to run, this point is re-iterated at the individual team briefings where they receive their maps and clues. We also ask the teams to stay together at all times and take care of each other. All checkpoints are staffed and teams have a mobile number for any problems that arise. Before heading off, our staff ask for a contact number for each team. Participants are always given a choice regarding tasks and no one is forced to do anything they may be uncomfortable with. For less active or injured people we can take them to a half way point or send them directly to the finish point. 11. How do I book and pay? You book via a confirmation email with your chosen event, date, numbers, venue and timing included, plus your company details for invoicing purposes. Upon receiving this confirmation of your event we will invoice a 30% holding deposit due immediately. 9-10 days out from the event you will be invoiced the balance which is due on the day after the event. (If the event is less than a fortnight away, we generally just send one invoice). We accept direct debit payments or credit cards, via our secure Xero / Eway payment facility. We take Mastercard, Visa and American Express, though for the latter we pass on a 2.9% service fee to cover additional finance costs. 12. What are your cancellation terms? Please note we do extend credit of the deposit for bookings that are postponed to a new, definite date. 13. What is included in the price? All preparation, team identifiers, folders, printed materials, games equipment, facilitation and Team Bonding travel costs are part of the price. This includes the use of our digital cameras. We give the winning team pretend gold medals or miniature trophies, but “real” prizes are not included, nor is venue hire for the start or finish points. As it is a “walk in” course, unfortunately we cannot supply water, sun protection, appropriate footwear or clothing, nor carry anything of behalf of competitors. 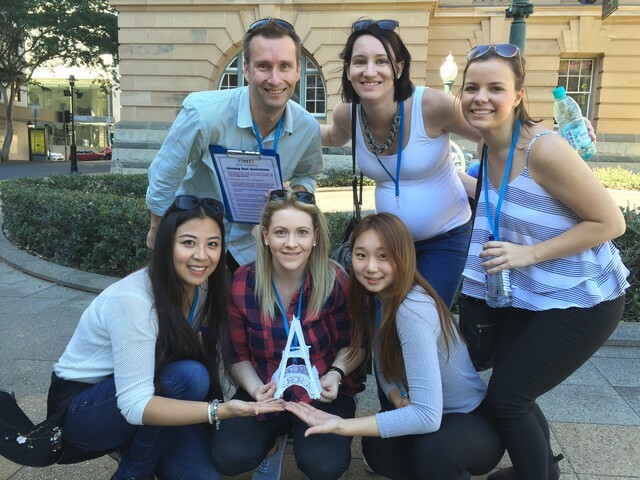 Brisbane Amazing Race’s parent company, Team Bonding carries a $10 million Public Liability insurance through Sports Cover. During the race participants are covered by their own WorkCover provisions. 15. Can you handle participants with disabilities? The Brisbane courses are suitable for wheelchair users. We have included in the past vision impaired participants (with assistance), hearing impaired, intellectually disabled, people with back, knee and ankle injuries and advanced pregnancy. We work with you to ensure all team members feel included and those that need a little special attention are still able to contribute value to their team. 16. Can I customise the event to suit our team? 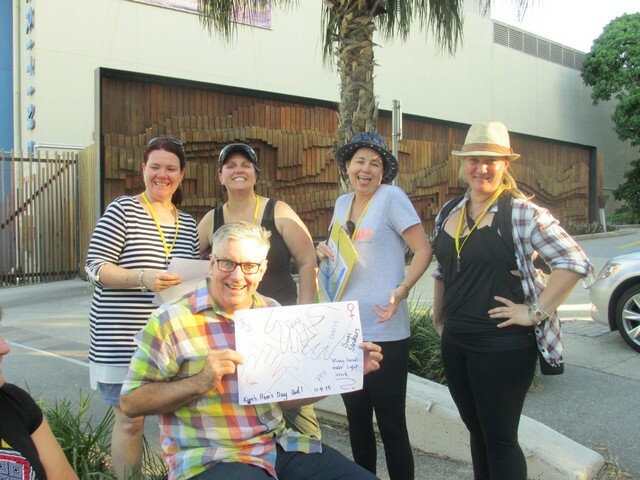 Every team is unique so in most cases we do make tweaks to personalise your event. We need to stay within the basic structure (we rarely create whole new events) but we can add specific messages, choose activities that work with a theme, emphasise your values plus some teams create their own quiz style activity to include. If you have ideas please call to discuss. You may end up with the best of both worlds, great value, proven courses and popular activities with your own themes and ideas front and centre. Call on 1800 047 220 to discuss your ideas. 17. What are your risk management practices? Please see this link for our risk management.